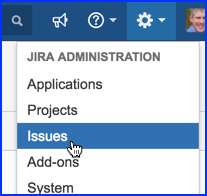 In JIRA, there is a default field called Priority used to indicate how important an issue is, but there is no default field used to indicate how urgent an issue is. Here we explain why you need an Urgency field and how you create it. At Webucator, 99% of our issues are defined as either Major or Minor, meaning that they are Important or Not AS Important. Limiting this to just two choices provides what I like to call "Freedom FROM Choice". No need to get hung up on the difference between Minor and Trivial or between Critical and Blocker. If it's Major, it's Major. But is it also urgent? And this brings us to the Eisenhower Decision Matrix described in Stephen Covey's First Things First. Need it done by tomorrow. Need it done next week. There are different ways you could handle this. 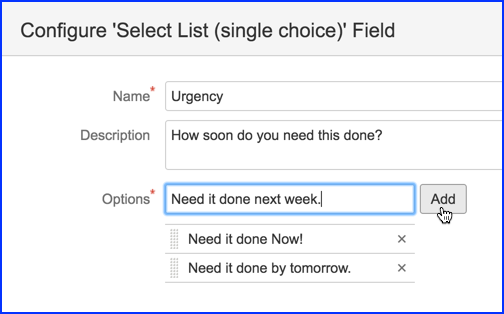 It might work for your team to use the built-in Due Date field. At Webucator, that doesn't work, because the people who report issues in our company do not manage the development schedule, so they cannot set due dates. The purpose of the Urgency field is for the reporters to indicate how desperately they need the bug fixed or the new feature implemented. It is then up to our CTO to determine when they will actually tackle the issue, weighing it against the importance and urgency of other issues in JIRA. Now click the Create button at the top of the screen as if you were going to create a new issue. You can now cancel out. 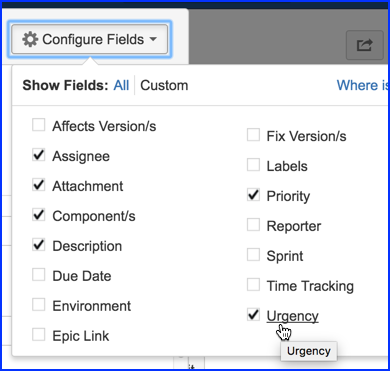 The next time you create an issue, your new Urgency field should appear.